Valentine’s Day is only a couple of days away and if we could have someone be our Valentine, it would definitely have to be our favorite yellow invertebrate from Bikini Bottom — none other than Mr. SpongeBob SquarePants himself! So, why not celebrate our love for SpongeBob not just on Valentine’s Day but for a whole week?! Join your favorite celebs and Nick stars as this upcoming week marks “I <3 SpongeBob” week. It’s time to profess our love for SpongeBob and his Bikini Bottom friends with marathons of fan-favorite SpongeBob SquarePants episodes starting on Monday, February 12th through Friday, February 16th at 4:00 PM to 6:00 PM ET / PT. Following the marathons, a brand new episode of SpongeBob SquarePants will air each night at 6:00 PM. How fun is that?! SpongeBob SquarePants is one of the most iconic shows on this planet, so we’re super excited to enjoy all of the nostalgia that each of these magnificent episodes will bring when they air during “I <3 SpongeBob” week. Phenomenal episodes including “F.U.N.,” which features the hit song, “The F.U.N. Song,” as well as other episodes including “Ripped Pants,” “Band Geeks,” and the pilot, “Help Wanted” will all be airing during “I <3 SpongeBob” week. 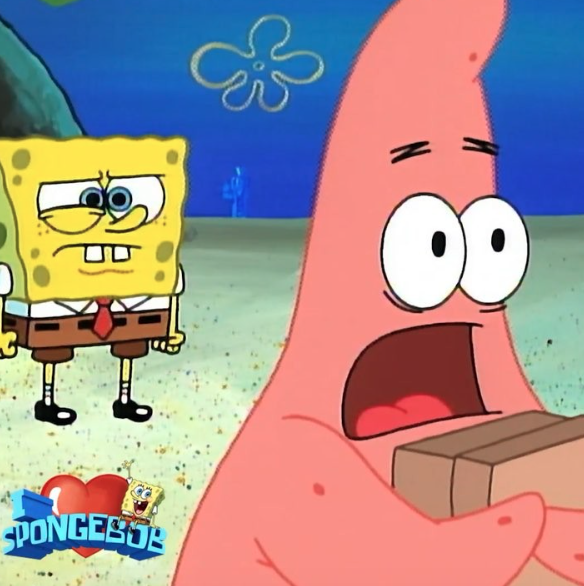 Be sure to take a trip to the Krusty Krab and tune in to “I <3 SpongeBob” week starting on February 12th on Nickelodeon! Follow @Nickelodeon and @SpongeBob on Twitter and check out my VIPAccessEXCLUSIVE interview with the cast of SpongeBob SquarePants below! Previous VIPAccessEXCLUSIVE: In Real Life Interview With Alexisjoyvipaccess At Their “Tattoo” Single Release Party! Next Article: Chrissy Metz, Hans Zimmer, Darren Criss And More Attended The Renowned 8th Annual Music Guild Awards!